10 Martin Humburg and Rolf Van der Velden: What is Expected of Higher Education Graduates in the 21st Century? John Buchanan is Professor in the Research Development Unit at the University of Sydney Business School. Until recently his major research interest has been the demise of the classical wage-earner model of employment and the role of the state in nurturing new forms of multi-employer coordination in the labour market. Building on this he is devoting special attention to the evolution of the labour contract, the dynamics of workforce development and the relationship between work and health. He is especially interested in building cross disciplinary research teams to examine these issues. His most recent co-edited book is Inclusive Growth in Australia: Social Policy as Economic Investment (2013). ; David Finegold is a Distinguished Professor at Rutgers University and is the founding Chief Academic Officer for American Honors. He is a leading international expert on skill development systems and their relationship to the changing world of work and economic performance. ; Ken Mayhew is Emeritus Professor of Education and Economic Performance, at Oxford University, Emeritus Fellow in Economics at Pembroke College Oxford, Extraordinary Professor at Maastricht University and a member of the Armed Forces Pay Review Body. He was founding director of SKOPE, an ESRC research centre on skills, knowledge and organizational performance. He has published widely in labour economics and policy analysis, and advised many private and public sector organisations at home and abroad. ; Chris Warhurst PhD is Professor and Director of the Institute for Employment Research at the University of Warwick in the UK, a Trustee of the Tavistock Institute in London and a Research Associate of the Centre on Skills, Knowledge and Organisational Performance (SKOPE) at Oxford University. 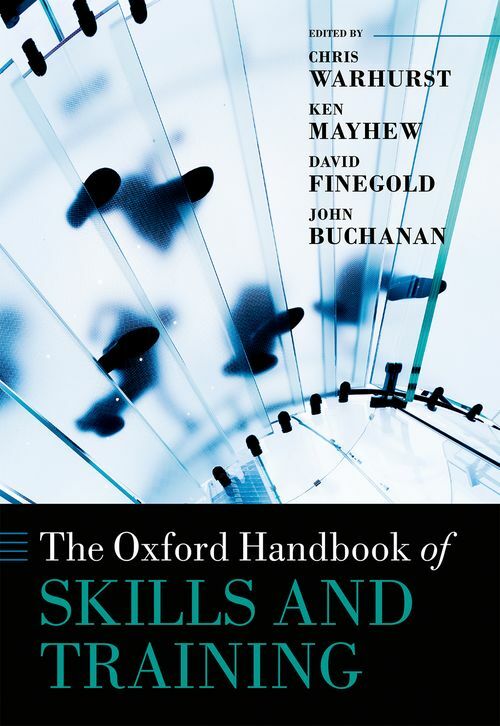 He has published a number of books and articles on skills, including, with colleagues, The Skills that Matter (Palgrave, 2004) and Are Bad Jobs Inevitable? (Palgrave, 2012). He has been expert advisor on skills policy to the UK, Scottish and Australian Governments and an International Expert Adviser to the OECD's LEED programme.